My review: Full of fun and cuteness! Keep quiet! Don't follow me! 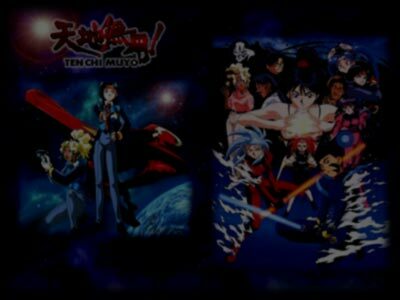 Click here to download Tenchi Muyo Desktop Theme (1.25M), version 1.1! Click here for the listing of included items and installation instructions. If you want to preview the Themes before download, click here. If you have problems downloading the Theme files, use GetRight which can resume broken/timeout downloads! If you have downloaded the Desktop Theme and have Microsoft Internet Explorer 4.0 or later installed, click HERE and make your desktop ANIMATED! Click here for "Tenchi Muyo in Love" Desktop Theme! Icons are best viewed in 48x48 size. Tenchi Muyo Win95 Animated startup logo! Click here for MORE Tenchi Muyo desktop accessories! This is the first movie from the Tenchi Muyo series, and also one of my favorite Anime movie. In the story Tenchi goes back to the past to protect his mother, Achika. Come and know more about this movie. Remember to check out the Desktop Theme I made which is dedicated to this movie! This is the second Tenchi Muyo movie. The story is about a mysterious girl Mayuka who claims to be Tenchi's daughter from the future. Come and see what happens to Mayuka and Tenchi's family. Check out the animated GIF I made with scenes from the movie too! This is the thrid Tenchi Muyo movie, and also the LAST one for the Tenchi Muyo TV series. One day Tenchi suddenly disappears, and when Ryoko and Aeka find him after half a year, he is living with a mysterious girl Haruna! This movie gives a FINAL ENDING to the whole TV series. Come pick some cool Tenchi Muyo wallpapers for your desktop!! Click here for MORE Tenchi Muyo desktop stuff, including animated cursors, startup logos, WinAmp skin and screensaver! Want other Anime goods? Come here! 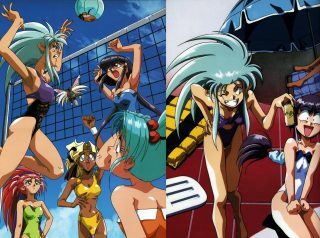 Click here for some cool Tenchi Muyo links. Don't know how to use these desktop accessories? Click here for more info. If you want to use anything here in your homepage, email me (with your site URL) for permission. This site is owned by Butz Yung. Tenchi Muyo and related images are Copyright of AIC/Pioneer LDC.